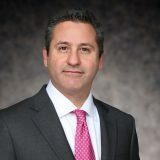 Kevin Abikoff Quoted by Compliance Week in "Rash of Recent Settlements Indicate FCPA Enforcement Trends"
Kevin Abikoff was quoted by Compliance Week in a story entitled "Rash of Recent Settlements Indicate FCPA Enforcement Trends." The story, published in the trade magazine's January 2014 edition, noted that the Justice Department and the Securities and Exchange Commission (SEC) have settled a raft of Foreign Corrupt Practices Act (FCPA) cases in recent months, including agreements with Alcoa, Archer Daniels Midland, Diebold and Weatherford International. Abikoff told Compliance Week that the settlements proved that the ratcheted-up FCPA enforcement was not a passing fad. "This is the new normal," he said. He said one of the most significant developments in FCPA enforcement is the expanded scope of cross-border cooperation in FCPA investigations. "Active FCPA enforcement in the United States is now being paired with active anti-corruption enforcement around the world." Abikoff added that all of the FCPA enforcement actions arising out of high-risk jurisdictions suggest that companies reduce their FCPA risks by "applying their scarce compliance resources to their highest risk areas first." In doing so, they will put themselves in a better position than if they were to "try to spread their resources evenly over the entire fabric of their business." The story also quoted Abikoff on the return of independent compliance monitors in deferred prosecution agreements and noted that he was a monitor appointed by the SEC, Justice Department and the U.K. Serious Fraud Office. "Some had suggested that monitors were falling into disfavor," he said. "That's proving to not at all be the case. The government is actually finding supervision through a monitor to be quite an effective way to ensure that companies provoke meaningful change in their compliance programs."